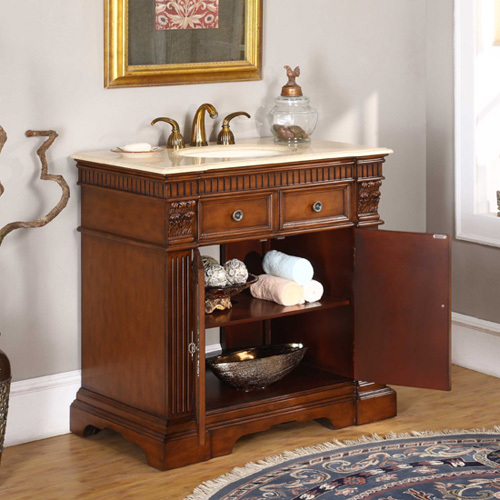 The Meldola Single Bath Vanity is a handsome way to complete smaller bathrooms. 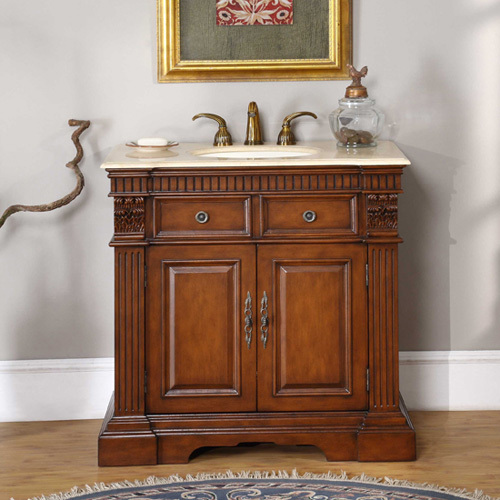 The intricate beveled details and antique brass hardware give this piece a regal atmosphere. It is hand crafted and hand painted, which makes each Meldola unique. The Crema Marfil marble top arrives pre-drilled, making faucet installation easy. In addition, it includes an undermount ivory ceramic sink. The double door cupboard is great for storage.